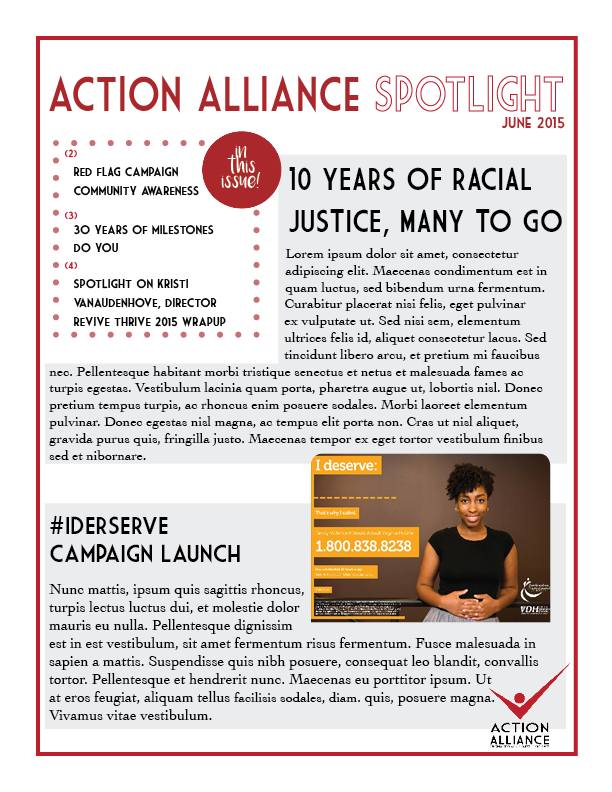 For the Newsletter, I primarily wanted to bring some lightness to the Action Alliance organization in comparison to the slight staunchness of the logo. For this, I used a lot more color and random bits of sillier fonts to balance the clean lines of the titles on each page. I wanted the theme of circles that could be found on the logo (the red figure’s head) to continue throughout the newsletter and I implemented some as background images and others as the shapes for pictures. 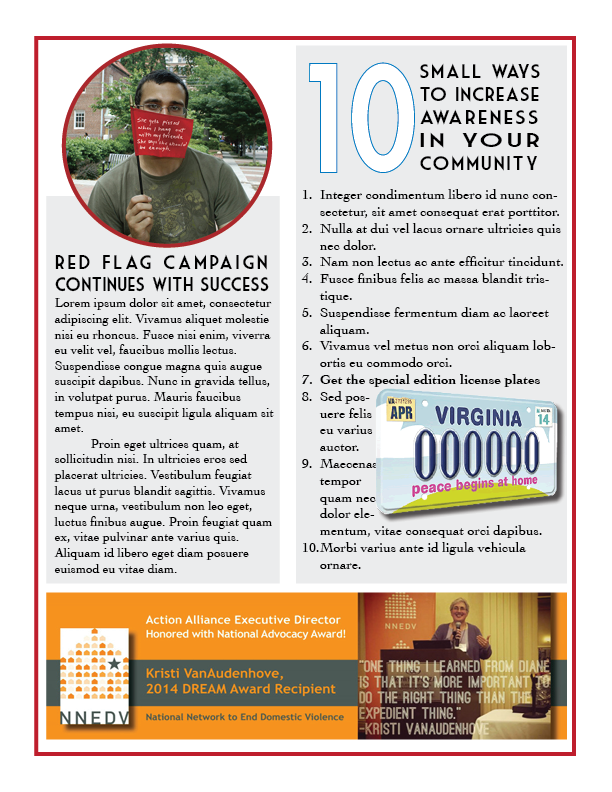 The newsletter contains information on the many campaigns Action Alliance has as well as other achievements. I decided to add factoids like the 10 Ways to Increase Community Awareness and the spotlight on the director of the organization. Were there to be future newsletters, this spotlight would continue on various members in the organization. I chose the title to demonstrate that the purpose of the newsletter is to put a spotlight on the deeds of the organization and the members in it. 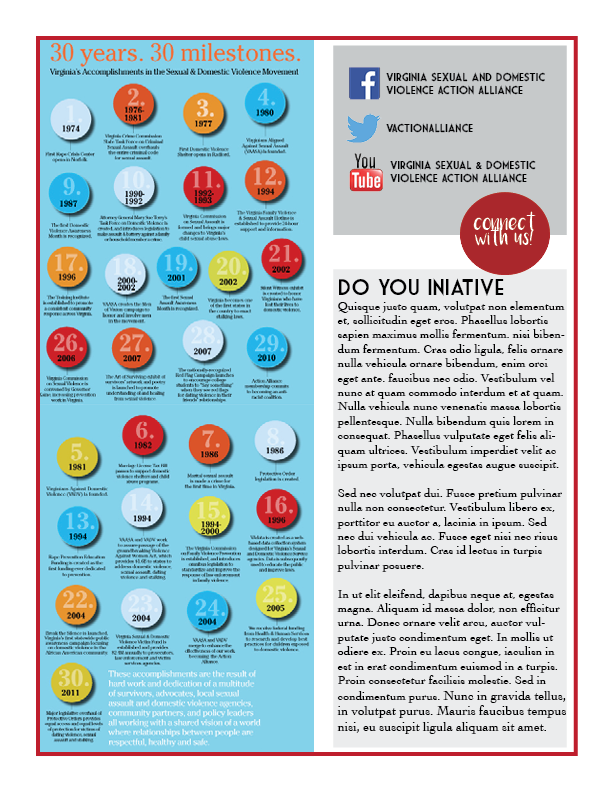 On Action Alliances’ social media pages, these are noted visually and I aimed to mimic this.